Need Renderings but Still Designing? The process of an architect sending renderings to a visualization firm should be a collaborative activity, more than just outsourcing the design and waiting to see it in 3D. Instead, renderings should be used as tools throughout the entire design development cycle. Illustrate My Design’s project of the DeSales Spec Suites shows how renderings are useful in marketing and selling the space, but also as an integral part in the design collaboration. IMD began this project by doing four renderings of two spec suites in the DeSales office building for OTJ Architects. 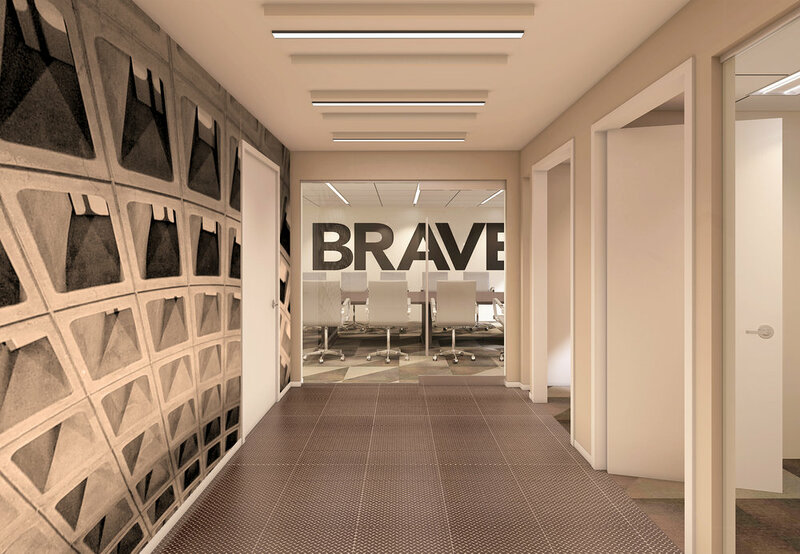 Citizen Creative, a graphic design firm lead by nationally recognized design director Jill Spaeth, was collaborating with OTJ for the interior large-scale graphics. After the original renderings were done IMD also worked with Jill to add her ideas to the existing design. There were multiple iterations between OTJ, Citizen Creative and IMD throughout the process, and IMD was always ready to accommodate new changes. The renderings were key to finalizing the design, and ultimately for securing client approval. Gould Property Company is the owner and developer of the DeSales Suites at 1725 DeSales Street in Downtown Washington DC. Development and Acquisitions Manager Charles Lancaster used the renderings at a recent Open House event to show prospective tenants the possibilities of the new space. The turnout was great and there is a lot of buzz about these new suites in the heart of the city. LOOK AT THE NEW DESALES SUITES HERE.